We will be doing a 50/50 raffle again this year and we are looking for more volunteers to help us out. 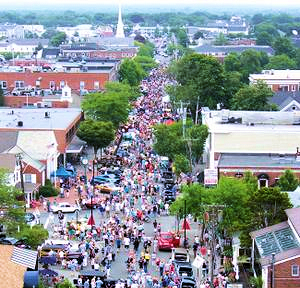 This event has grown and grown and there are literally tens of thousands of people who attend the car show to see the classic cars lining the sides of Main Street Hyannis. We have the chance to raise some real money if we can get some volunteers to help us sell tickets. If you would like to help us please call Brian Morrison at 508-932-4700 and let us know. This show is a lot of fun and a great way to tell the Cape community about what we do. So come out and help us out. Key Clubbers from all Cape Division clubs are encouraged to come and volunteer! Bring your family o this great event. Copyright © 2019 Kiwanis Club of Hyannis | All rights reserved.